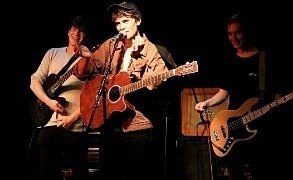 When John Peel invited local musician, David Clancy, and his band to take part in not one but two of his famous recording sessions he could not have known the legacy he would create. Peel, of course, was the musical champion of new and unknown acts. He believed they had talent to be nurtured and offered to a wider public. David, now living in Steyning, does much the same in his turn. .
Jam and ukuleles may sound an unlikely combination for a retired Executive Chef to turn out, but Derek Parr is no ordinary chef. 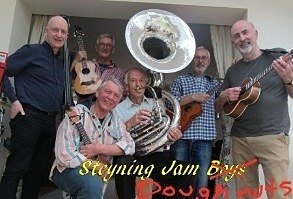 As part of this year’s 16 day Steyning Festival a Ukulele Jam is served up in the Big Top as hundreds of ukulele players, from beginners to experts, gather under Derek’s enthusiastic eye. And singers are encouraged too. ‘We’ll have a big screen up displaying the songs for people to follow. If you like 60s and 70s music it’s for you,’ says Derek. Where can you see two classically trained dancers doing something that is often deliberately daft, yet moving and exhilarating? The answer is at the Steyning Festival. On 8 June, on the last Friday of the Festival, Thick and Tight, aka Daniel Hay-Gordon and Eleanor Perry (together with guest artist Julie Cunningham), present an off-the-wall evening of dance, which challenges, intrigues and thoroughly entertains. 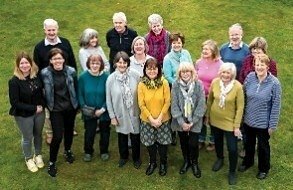 The Steyning Festival, which opens on Saturday 26 May, is said to be the biggest of its kind organized and run entirely by volunteers. But who are they and what makes them give their time and effort? 17 of the almost 70 volunteers gathered recently for a team photo. Annie Edson Taylor was the first person to survive the ordeal of going over Niagara Falls in a barrel. It’s the stuff of legends and the raw material for folk songs. 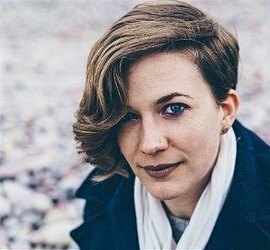 Kirsty Merryn, who appears at the Steyning Festival this year, doesn’t disappoint. Roll up, roll up, for the Steyning Festival! If you try to find St Cuthman’s Port on the map you will need a very old one made in Norman times. Much has changed since then. St Cuthman famously put down his wheelbarrow containing his mother and their possessions at a particular spot and there he built a church. The spot on the map is now called Steyning and a sculpture of St Cuthman with his wheelbarrow sits looking at the church which bears his name. 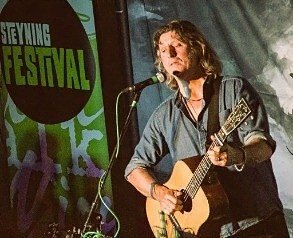 The line up for the 2018 Steyning Festival has just been announced and very exciting it is. Amongst the headline acts are Barry Cryer and Colin Sell, staples of I’m Sorry I Haven’t a Clue, legendary jazz bassist Herbie Flowers, Peep Show’s Robert Webb, and Soul II Soul with Jazzie B. Other big names include Baroness Floella Benjamin, Sir Malcolm Rifkind, children’s author Julia Donaldson, and Simon Nye, responsible for many successful TV shows, most recently The Durrells. Stop everything – it’s Stunning Steyning! What do you mean, you don’t know the date? Of course you do. Or at least you will when I’ve told you. It’s Saturday 26th May to Saturday 9th June next year. Put the holiday on hold, and make a note of it. It’s simply too good to miss!